Kigali is the modern and stylish capital city of Rwanda. Eager to move on from its past, Kigali has modernised, and is more than ready to welcome visitors as a sophisticated travel destination. Voted the cleanest city in Africa since 2011, Kigali’s impressive urban development has overseen the city’s expansion into a modern African metropolis. Cheap flights to Kigali are now available for a limited period of time, so prepare to be awe-inspired by this city’s infectious spirit! Kigali is home to Kigali International Airport (KGL), located 15 minutes from the city centre by car. While Kigali has largely moved forward from its tragic history, it honours the past in the form of its famous Genocide Memorial. Step back in time and learn about Kigali’s moving history- and hope for the future. Eager to show the world the colourful vibrancy of the culture of its local people, Kigali hosts many food and craft markets, showcasing traditional foods, art works and woven creations made by locals. 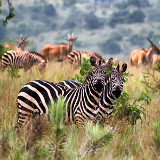 Kigali is within driving distance from some of Rwanda best national parks, and many tourist organisations operate in the city, which transport visitors to and from the parks. 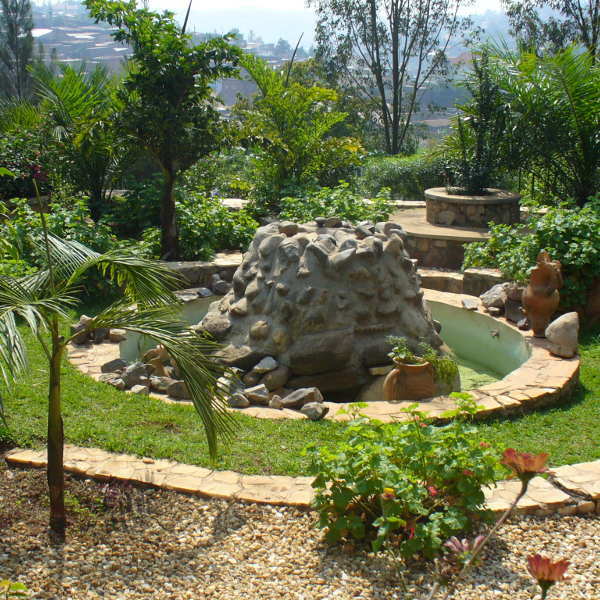 Rwanda enjoys a steady tropical climate resulting in warm weather throughout the year. The best months to visit, however, are between the months of June and September and December to February. These are Rwanda’s dry seasons which have the least rainfall. 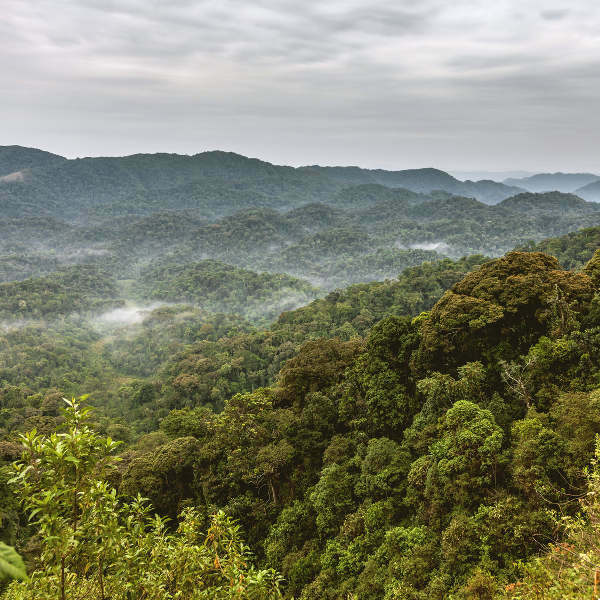 During the periods of October to November, as well as March to May, Rwanda experiences heavy rainfall which can negatively impact holiday enjoyment. 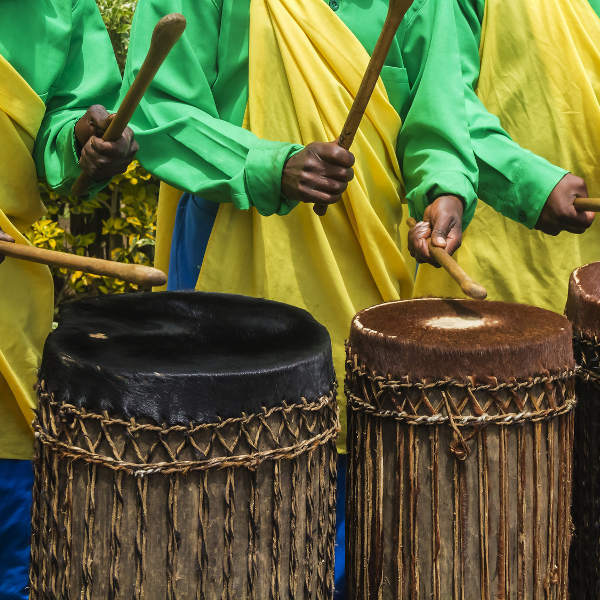 Kigali hosts a number of exciting music and cultural festivals throughout the year. The Kigali Up Festival takes place in July and sees local and international music artists take the stage. The Rwanda Film Festival also takes place in July showcasing a collection of the best locally-produced and foreign films. Plagued by a painful past that threatened the city’s very survival, Kigali has long since healed from the tragic genocide that took place there more than twenty years ago. The city has moved forward into the future and is more than ready to show the world that it is one of Africa’s premier tourist destinations. Urban development and excellent planning have changed the city’s landscape from the now unrecognisable ruin that it was post-1994. Today it is a thriving metropolis boasting lush green public parks and revamped tar roads. Most importantly, Kigali is home to an outgoing and energetic population excited and proud to welcome visitors to their beautiful city! Compare and book your cheap flights to Kigali with Rwandair Express online at Travelstart. Travellers planning to go to Rwanda are recommended to be up-to-date with routine vaccines and boosters such as measles-mumps-rubella (MMR) and diphtheria-tetanus-polio vaccine. 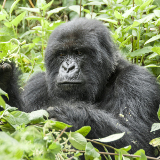 Speak to your GP about the latest information regarding required vaccinations for travel to Rwanda. Kigali is a popular African travel destination due to it being a relatively safe city with an extremely low crime rate. Most crime that occurs there tends to be opportunistic crime like theft and pick-pocketing. Keep a close eye on your personal belongings, particularly in busy areas like train stations, bus stations and restaurants. It is safe to walk the city during the day but rather utilise public transport like taxis for getting around the city at night. 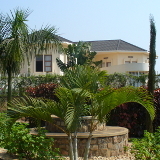 Kigali offers an extensive selection of accommodation ranging from moderate to high-end in expense. Visitors wanting to be in the hub of the excitement should definitely consider staying in the city centre. The busiest part of Kigali offers restaurants, nightlife and easy access to all the top city attractions. Visitors rather wanting to live like a local can choose to stay in one of the neighbourhoods on the outskirts of town. Colourful and quirky Nyamirambo offers visitors a chance to step into the everyday world of Rwandan people and get up close and personal with the locals. Go on a walking tour through the neighbourhood with a local guide, browsing the markets and general hustle and bustle. The tour ends with a personal lunch at your tour guide’s home with them and their family, giving you the chance to get to know a Rwandan family and taste delicious local food specially prepared for you! Matatus (similar to minibus taxis in South Africa) are the cheapest and most popular form of public transport around Kigali. Matatus generally charge a flat rate depending on where you are going, and follow routes connecting all major areas around the city, but always check with the driver if they are driving to your desired destination before hopping on the bus. Don’t be shy to ask friendly locals for directions or help! Keep in mind that during peak travel time (morning and after-work evening) the matatus can become overcrowded. Motorcycle taxis and regular taxis are also options for getting around, although these will cost you more. Motorcycle taxis are by far the fastest way to get around, just be sure to negotiate a good price!